Spirals and bubbles and Qs, oh, my! It’s a queue of Qs rising up, large and small, with curly double tails and a whole lot of whimsy. This one’s small but nice and sturdy, drawn on a bit of comic backing board so it’s even acid-free. 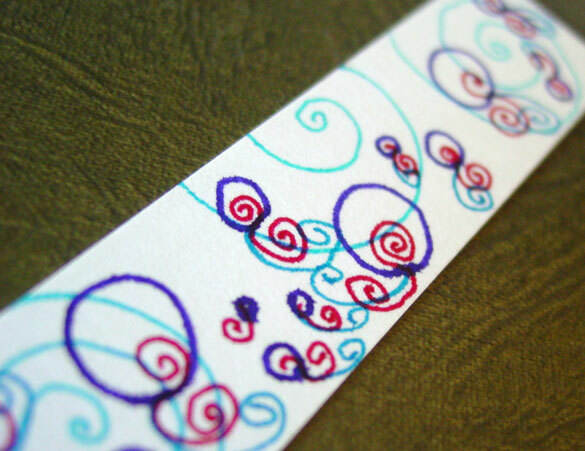 Bubble Queue Bookmark, 0.875″x4.5″ pen and ink on paper. Above you can see some of the squiggly little bubbles with their swirly tails up close. 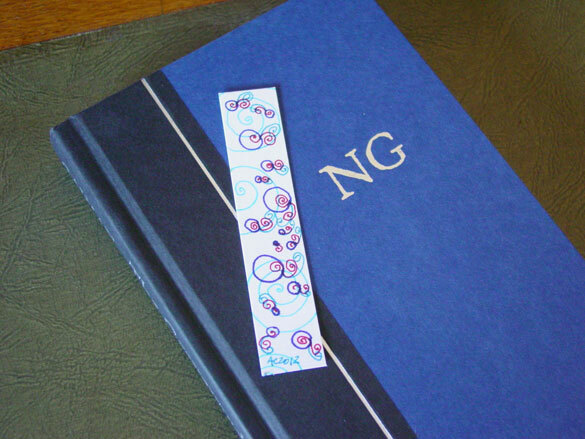 Below, you can see the wee bookmark resting on a nice big hardcover book.